One of the best professional development days that we can take as educators is to go to another school and shadow another educator. From looking how a classroom is set up to observing classroom management, watching a peer in the field of education is a valuable professional development tool. I try to set up at least one visit every year. In addition, it is always a great learning opportunity to welcome other educators in my classroom to observe me. When you have a peer shadowing you, it makes you stop and reflect on how you teach, what you teach, and more. This year, I had the privilege of welcoming teachers on three different occasions to come and observe me. 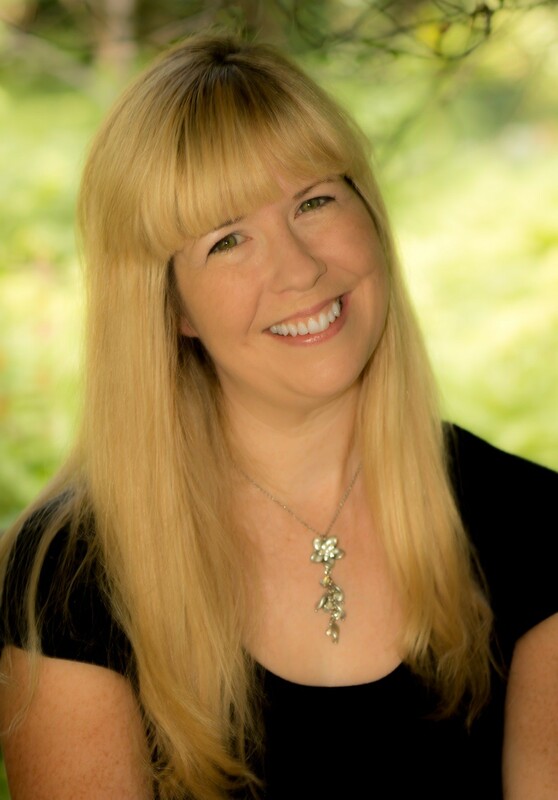 In addition, I was able to benefit greatly from observing two music educators: one who teaches music to ages 3-6 in a Montessori private school and one who teaches music to grades PreK-3 in a public school and who integrates technology flawlessly into the classroom. 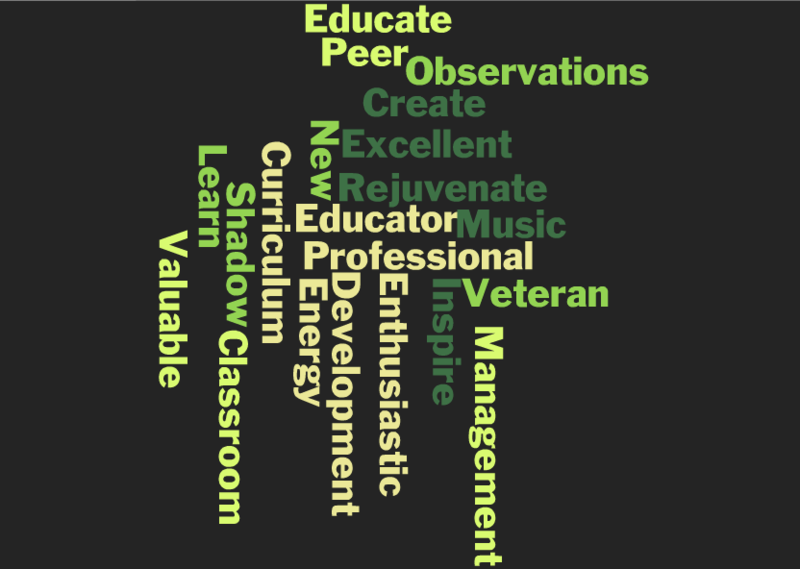 I chose the former because I wanted to see a Montessori music program in action. The music educator was excellent and discussed curriculum and classroom management with me. It gave me a wonderful sense of how to incorporate many of the items I saw into my mixed-ages PreK music classes next year. I chose the latter because he is much younger than I and I wanted to observe and find new ideas from a music educator who also successfully uses technology in the elementary music classroom. This post highlights many of the great items I saw yesterday during my visit. Dan Beal is a PreK-grade 3 music educator at Lawrenceville Elementary School (LES) in Lawrenceville, NJ. I first met Dan in February of 2014 when he attended an iPad session for elementary music educators that I gave at the New Jersey Music Educators Association (NJMEA) conference. I spoke with Dan afterward and I could immediately see that he was an enthusiastic teacher who loved to integrate technology into his elementary music classroom. Throughout the year, we tweeted back and forth, exchanging ideas and keeping each other updated on iPad apps that no longer worked or have left the US iTunes store. Since my school year ended this week, as well as my daughters’ school year, I secured childcare for them (thank you to my parents) and headed to Lawrenceville. I arrived at the end of his first class: third grade general music. They meet twice a week for 45 minutes (nice!). It was their last music class for the school year. 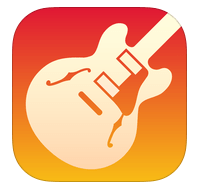 The students were showcasing their GarageBand ($4.99) musical creations. They had to state the key of the song, the tempo of the song, the loops they used, if they recorded their own voices, how many measures they created, and the title of the song. While they listened, Dan soloed various tracks to guide the students’ listening experiences. He projected their songs through one iPad mirrored through the Apple TV and hooked up to speakers. After the song was finished, students could comment and ask questions. Such comments and questions were, “I liked it”, “It sounded good”, “Why did you choose electric bass and acoustic guitar?”, and “Why did you only use green loops?” It was a comfortable learning environment because all of the students wanted to comment and ask questions and the student composer smiled and happily answered questions. 2nd Grade General Music: Once the third grade music departed, the second grade music class immediately entered. He started class, which for second grade is 45 minutes twice a week (nice! ), by having them perform vocal warmups and sing songs from the school year. He had some amazing science songs about the life cycle of a plant, the life cycle of a butterfly, and the life cycle of a frog, that were composed by his previous colleague and are not in publication (hopefully they will be in the future). 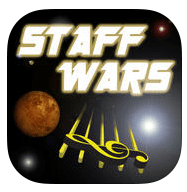 He proceeded to review lines and spaces on the treble clef staff, which all of his students knew very well. He then used the apps, Note Squish (.99 cents found listed in the iPhone apps) and Staff Wars (.99 cents), by again mirroring one iPad with an Apple TV and speakers. Dan reminded the students to state the note name when they recognized it on the staff. If they shouted, then the game would end. Dan would have to hear at least five students answer before he would press the note name and he would only press the note name when the answer was correct. By doing this, Dan created a very positive learning atmosphere where students were not afraid to state the incorrect answer and where they saw positive feedback when stating the correct answers. The students then sang for me a song they had just sung that morning to the departing principal titled, “You Have Made a Difference.” The lyrics are powerful: “You have made a difference, you have shaped our minds…” (https://m.youtube.com/watch?v=CSFpcn_e5j8). They ended the class with a rhythm review on classroom instruments. 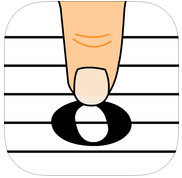 Dan used the Explain Everything app ($2.99) to display a variety of rhythms (using the app with the iPad as an interactive whiteboard) while the students performed it on their instruments. They finished by listening to a snippet of a possible musical for their third grade year. When second grade departed, another second grade class entered. Lunch and Prep: Dan and I talked tech and curriculum during his lunch. Dan has many of the key characteristics that make him an excellent teacher: knowledge, passion for teaching, enthusiasm radiating from him and his students, great classroom management, and always trying to improve himself. For example, he was discussing how he could incorporate his iPads with his acoustic instruments. 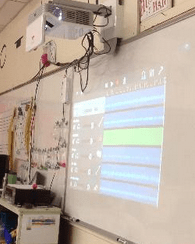 He showed me his six iPads connected to the Jamhub that he received mid-year when his grant to the Lawrence Township Education Foundation (LTEF) was approved. He then invited six students to come during his prep period and create music individually and together with the iPads and the Jamhub. Don’t touch the bottom row on the Jamhub. Don’t trip on wires by watching where you are going. The smiles on the students’ faces as they created music and performed together was inspiring. Though these students might not be creating music in the traditional sense, they are creating music and they are loving it! 1st Grade General Music (he sees them once a week for 45 minutes): After the Jamhub students left, the first grade music class entered. The first thing they did was sing “We Are the Young” by Mary Donnelly. This is a song that my students sing at the end of every school year. I was so touched that they chose to sing this to me that I jumped to the piano to accompany them. Dan immediately tweeted the video. The students then reviewed the difference between the steady beat and rhythms. They were then given four instrument stations to perform a variety of rhythm patterns. Dan again used the Explain Everything app on the iPad mirrored to the screen through Apple TV to create and display the rhythm patterns. It was comforting to see that his students, like my students, energetically shake the egg shakers so much that they tend to forget to read the rhythm patterns accurately. 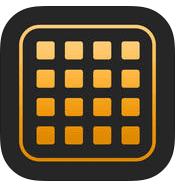 Dan then displayed Novation Launchpad app (free) and had the students create music with loops. The students had to listen to the previous loops chosen to see if the loop that they chose fit with the music. This meant that some students had to turn off some loops. It was great to hear how the song continuously changed as the one iPad was passed around half of the circle. 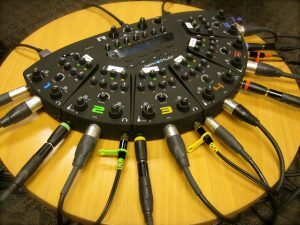 The other half of the circle were given the Thumbjam app ($8.99) or the Bebot app ($1.99) where they improvised synth solos. As this was happening, three students came in to give Dan very sweet notes about his teaching. As the kindergarten music class was entering, it was my time to leave as I needed to get back home before the rush hour traffic so that I could relieve my parents. As I reflected on my day, I realized that Dan is a music educator who loves teaching, who uses any tools available to teach and inspire his students, and whose students love to sing and create music together. As I stated earlier, though his teaching tools might not be traditional, he is successfully teaching his students to perform music, to comprehend the musical elements, to sing, and to create music. And, from what I saw, the students love everything about his class. I expect to see great things from Dan in the field of music education! 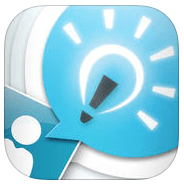 How do you find an educator to shadow? 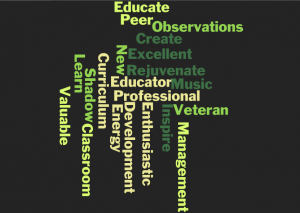 Look at music educators in your district or neighboring schools or go to social music educator media sites like Music Teachers Facebook Group or #mused on Twitter.